Anyone else obsess over getting the perfect curls? I mean it’s something I’ve been practicing since basically jr. high so I pride myself on getting great curls! HA! I am constantly on the lookout for new hair tools to try so when I was approached by T3 to try out their new T3 Whirl Trio I couldn’t wait! Who doesn’t love an interchangable hair tool that’s basically like getting 3-5 curling irons for an insanely good deal?! I have been using the T3 Whirl Trio for a few weeks now and I am in love! It allows you customize the wand size to achieve the look you want! It also comes with different attachments that you can purchase separately if you are more of a clip curling iron girl! I had used the clip attachments the previous times I had curled my hair just simply because I felt more comfortable, but I knew I wanted to become a wand pro! I won’t lie I was a bit nervous about using a wand! I had never used one up until I received this one from T3 but surprisingly I did pretty well the first few times and haven’t even burned myself! #shocker I even went live on my Instagram the first time I used it so that made me even more nervous using it for the first time in front of live viewers but the curls turned out great & everyone loved them! – Always brush out your hair and use some sort of smoothing creme before you curl! I use this! 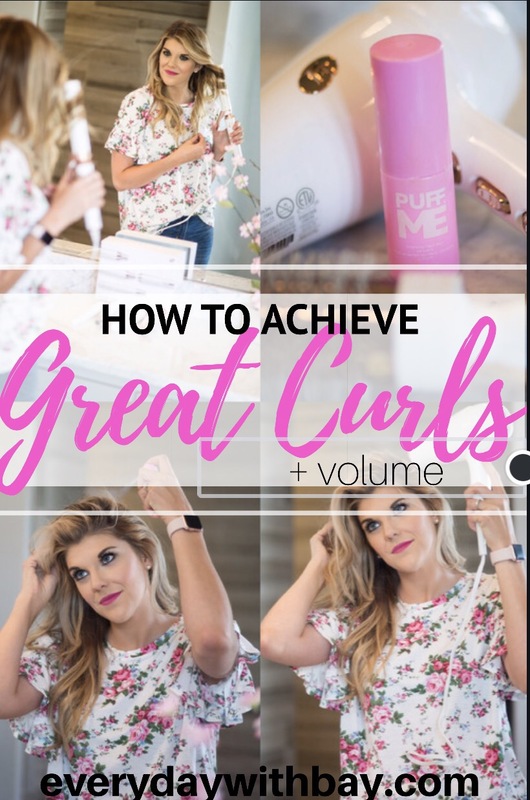 I always use a good volume powder when I do curls because it insures that the crown of my head has enough volume to sustain the curls and doesn’t go flat! I use this and love it! It’s just a pump powder and it seriously is life changing! I do a few pumps of it and then toss my hair to the side and use this blow dryer to really give it some uumph! 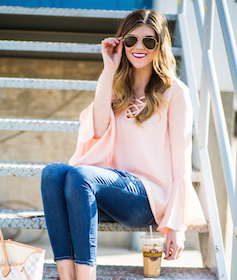 Thank you to T3 for sponsoring today’s post! As always, everything on EDWB is my honest opinion. All thoughts, content, & images are that of my own! Pictures provided by Kingdom Come Photography!